You may have enjoyed Turkish Delight before, also known as lokum, but you’ve never really tried it until you’ve had some where it all originated from. Although the exact specifics of Turkish Delight’s origins aren’t clear (as is the case with every recipe and confectionary), it’s broadly believed to have found its home right here in Istanbul. So, no trip to the city is complete without trying the best Turkish Delight in Istanbul, right? But where do you find it? There’s a lot of debate over which store or brand stands above the rest, but you can’t go wrong with any of these choices. 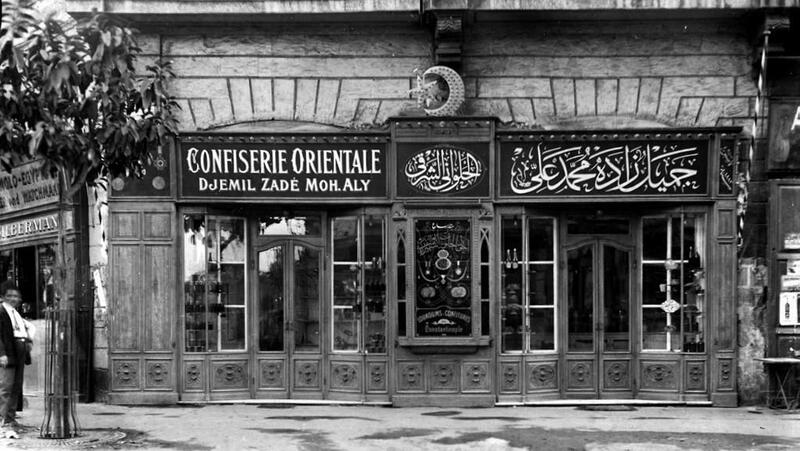 The oldest Turkish Delight shop in Istanbul and widely credited for begin the origin of the confectionary, this brand has expanded greatly since its founding in 1777. Even if it’s not where lokum (the original name of the sweet) was first made, it’s where the concept of “Turkish Delight” was founded when an English tourist visited the shop and brought the sweet back to Europe with him, igniting a craze. It’s still undoubtedly one of the best, with three locations: one in Eminonu in the Old City, one on Istiklat Street in Beyoglu and one on Kadikoy in the Asian side. 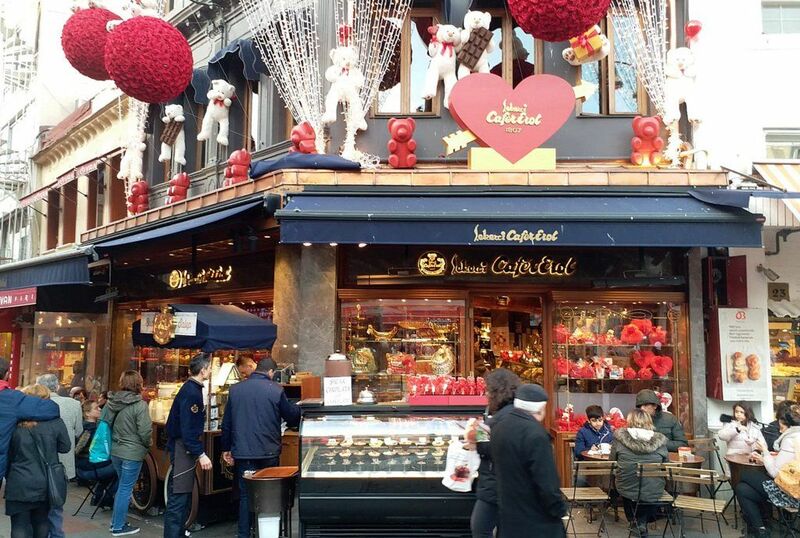 Perhaps the second biggest Turkish Delight brand in the city, this widespread chain can be found in Eminonu, next to the Spice Bazaar, Sirkeci near the Tram Station or Istiklal Avenue in Beyoglu. 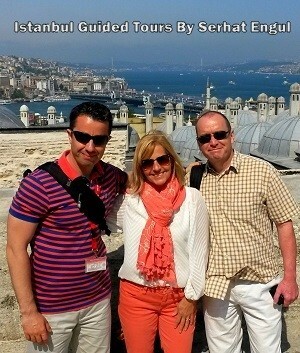 Since opening their first store in this city in 1930, it’s become a mainstay of Istanbul culture and tourism. Despite the widespread growth of the brand, all the stores are still freshly made, and they even provide diabetic products so everyone can have a taste of something delicious. Another of the oldest competitors to be awarded the lofty title of “best Turkish Delight brand in Istanbul”, this not a new brand, but a rapidly growing one in recent history. With stores in Eminonu, Sirkeci, and on Istiklal Street, they sell a wide variety of creative flavours, not to mention some of the best Baklava in the city, so if you’re feeling like a treat, there are few better places to find one. It’s worth nothing that there are plenty of Turkish Delight stalls and sellers in the Spice Bazaar, and many of them are just fine but you need to keep going to Sirkeci or Eminonu if you want the genuine Turkish brands. Right at the entrance of the Golden Horn, the old harbour beside the Sea of Marmara, you can find this beautiful neighbourhood, one of the oldest in the whole of Istanbul. Eminonu is home to many of the biggest Turkish Delight brands but features plenty to see besides, including Ottoman mosques, local markets and traditional bazaars. Sirkeci is a busy square within the Eminonu, where you can find some of the oldest Turkish dessert places and local restaurants of Istanbul. A smaller brand than the others, located in the heart of Kadikoy Fish Market, it stands out well amongst the other range of high-quality traditional and contemporary Turkish eateries that can be found in the area. Having served it for 200 years, they have mastered the craft, serving Turkish Delight with pistachio, rose, walnut, fig, orange and just about every other kind of flavour you could hope for. If you want to see just how versatile lokum can be, this is the place to do it. A name that pops up many times on the list, this area of Istanbul, also known as the Asian Side, is one of the finest places to eat in the city. The Moda Tea Garden provides an excellent place to sit and drink by the sea, while street food places on every corner have kept both locals and tourists well-fed with the energy needed to explore the city. Bahariye Avenue is great for a little souvenir shopping, too. Found in Istiklal Avenue, Taksim, this is one of the more hidden gems featured on the list. You can find the traditional confectionary shop in the Beyoglu Fish Market. Everything here is made using only traditional techniques, including not just lokum but homemade jams, halva, chocolate and candies. Now past its 90th anniversary, the shop has been run by the same family for 3 generations and is a hallmark of the market. 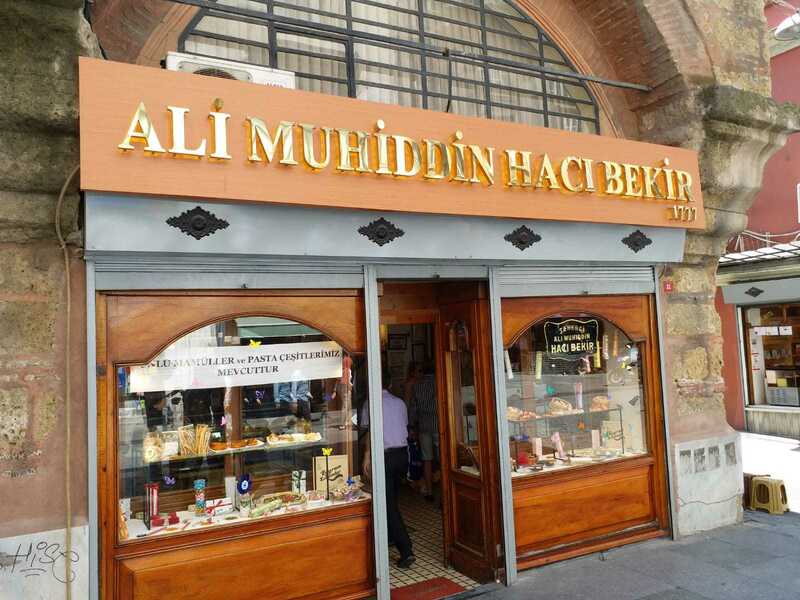 If you want to try the original Turkish Delight in Istanbul, made in the original way, this is the place to do it. One of the most famous avenues in the whole city and one that sees over 3 million people visit on the average day. 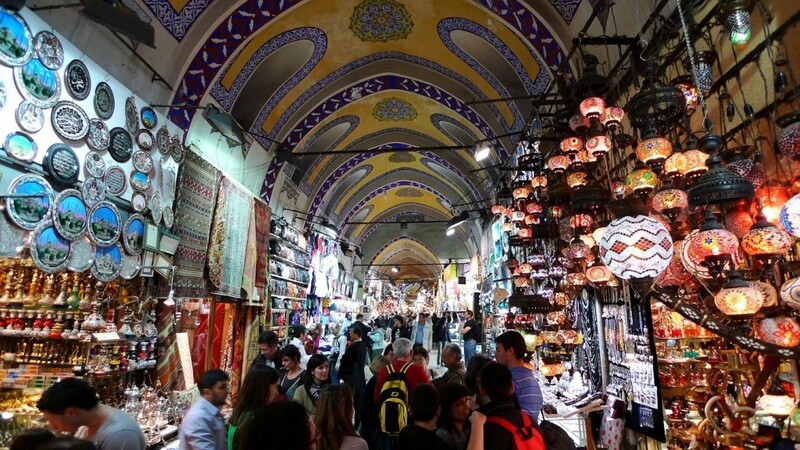 This spot, full of Turkish Delight stores, can be crowded, but its worth it not just for the many culinary experiences but also the sheer amount of shopping to be done. Widely known as the beating heart of the city, some visitors and locals alike have a love/hate relationship with Istiklal Street but it’s worth at least a short stop to see what all the fuss is about. 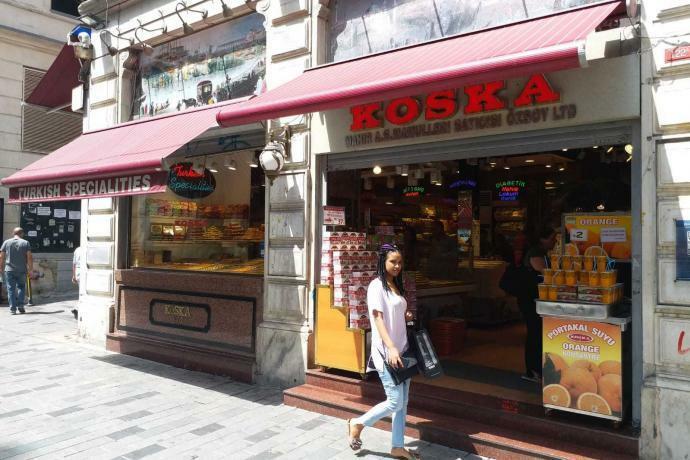 A brand with plenty of prestige, it has been widely lauded as the first and best Turkish Delight store in Kadikoy, the Asian Side of Istanbul. It’s one of the more famous spots for lokum in the city, having celebrated its anniversary every year in the papers. 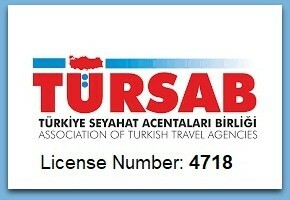 It’s also often listed as one of the top 100 places to eat or drink in all of Istanbul. 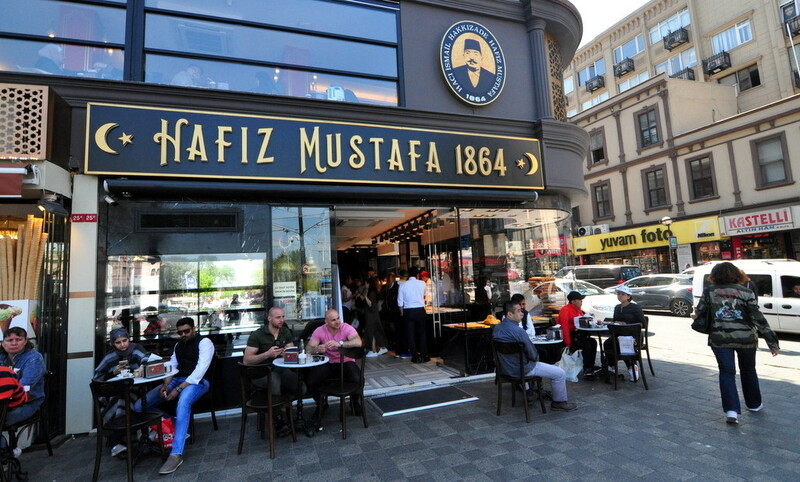 Delicious traditional coffees are also offered alongside the chance to meet and greet the owner after the store closes, when you can learn a little more about both the store and Turkish Delight’s history in Istanbul. This shop can be found in Fenerbahce and Saskinbakkal neighborhoods of Kadikoy (Asian Side) as well as the Nisantasi (Sisli) and Etiler (Besiktas) neighborhoods of European Side. Don’t have the time to visit any of the stores mentioned above? Or perhaps you’re only making a flying stop in Istanbul but still want to experience some of the finest, most varied flavours of the treat? 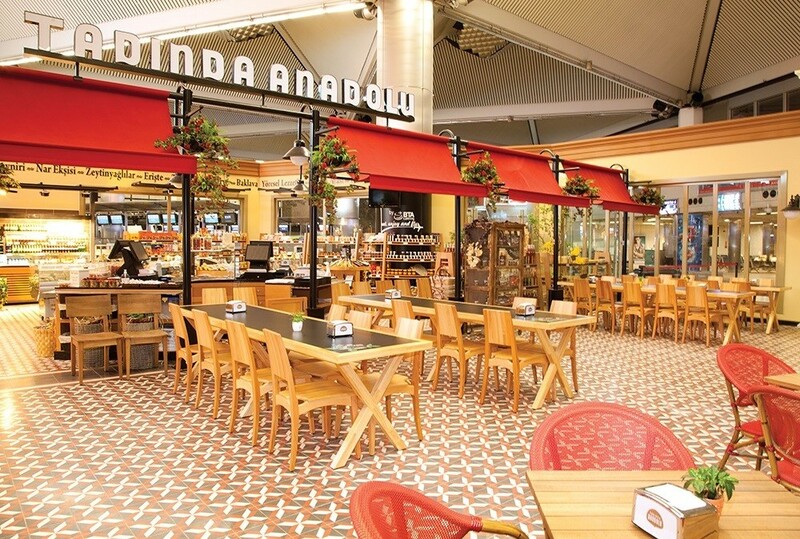 Tadinda Anadolu is the best place to buy Turkish Delight in Istanbul Airport, without a doubt, and competes with many of the stores in the city proper. While perhaps not offering the same quality of Turkish Delight as the other, more established brands, there are still tons of places to try the sweet in the Spice Bazaar in the Eminonu Quarter. Stall and store owners do a lot to make their offerings extra pleasing to the eye, so you’re sure to find some excellently Instagrammable lokum here! 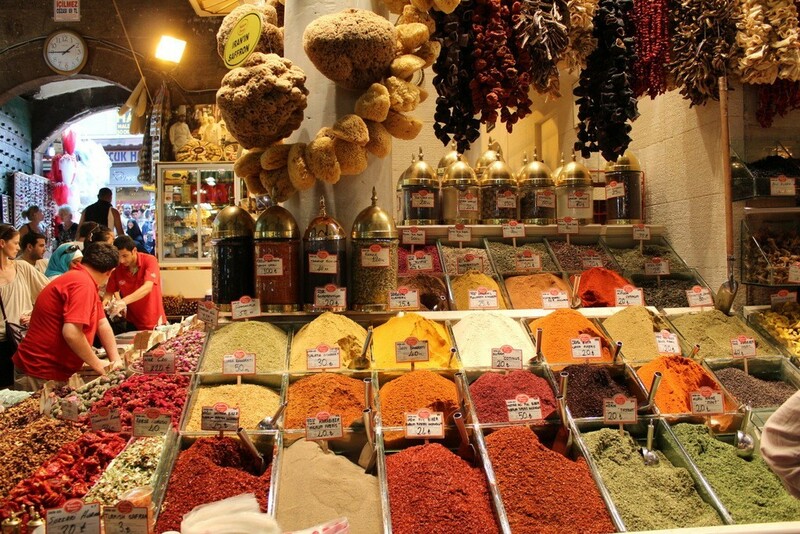 Like the Spice Bazaar, there are tons of places to try some Turkish Delight in the Grand Bazaar, one of the largest and oldest covered markets in the world, a tourist destination in its own right. Again, they might not quite live up to the quality of the other brands mentioned here but if you have a craving while you’re sightseeing, there are plenty of confectionaries to try. There you have it! If you want to know where to buy Turkish Delight in Istanbul, we have given you plenty of places to start! Think we’ve missed any places that deserve a spot on the list? Feel free to get in touch or leave a comment about your own lokum experiences in the city. 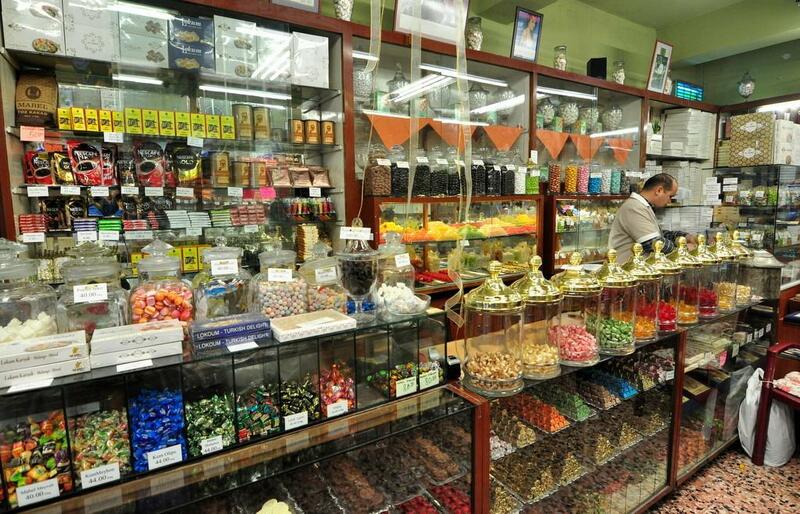 Where to Find The Best Turkish Delight Shop in Istanbul?